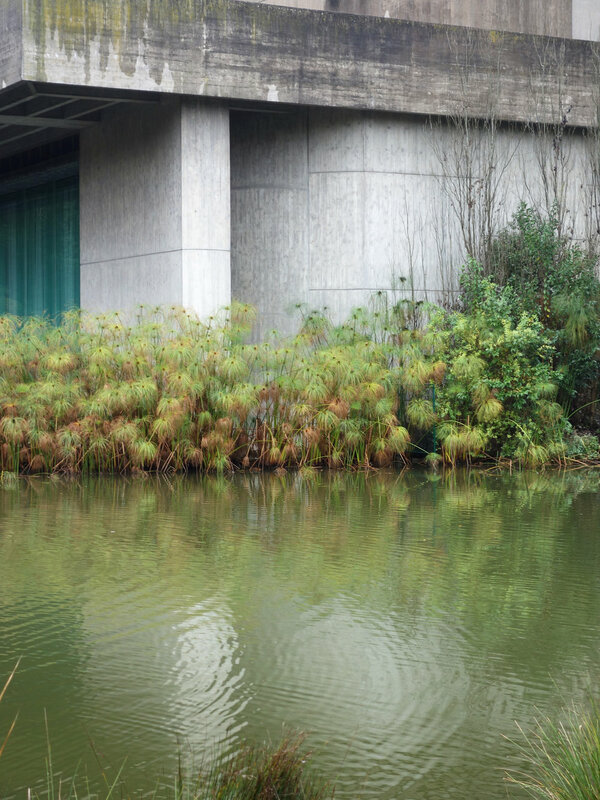 Concealed by towering Eucalyptus trees, wispy rushes and lush grasses, the Calouste Gulbenkian Foundation slowly reveals itself as you meander through the verdant gardens which surround it. Designed by Alberto J. Pessoa, Pedro Cid and Ruy Jervis d'Athouguia in the late 1950s, the building is an inspiring mix of concrete, glass, greenery and water. As we stand in the gallery we watch the cantilevered concrete drains carry rain water from the terraced green roof above into the pools of water below.